يشكل فندق شقق والدورف ستاديوم بموقعه الممتاز في قلب مركز مدينة أوكلاند نقطة انطلاق ممتازة لاستكشاف أوكلاند. يمكن من هنا للضيوف الاستمتاع بسهولة الوصول إلى كل ما تقدمه هذه المدينة النابضة بالحياة. يوفر الفندق بفضل موقعة الجيد وصولاً سهلاً إلى أهم معالم المدينة.
. إن الخدمات التي يقدمها شقق والدورف ستاديوم تضمن للنزلاء إقامة مريحة. يمكن لضيوف الفندق الاستمتاع بالميزات التالية على أرض الفندق: واي فاي مجاني في جميع الغرف, خدمة سيارات الأجرة, مجهز لذوي الإحتياجات الخاصة, مكتب الاستقبال على مدار الساعة, مرافق مخصصة لذوي الاحتياجات الخاصة . ادخل إلى واحدة من الغرف 175 وتخلص من عناء نهار طويل بمساعدة مجموعة كبيرة من الخدمات كمثل تلفزيون بشاشة مسطحة, سجاد, قهوة فورية مجانية, شاي مجاني, مرآة الموجودة في بعض الغرف. يقدم الفندق خدمات رائعة كمثل مركز للياقة البدنية, ملعب تنس لمساعدتك على الاسترخاء بعد نهار طويل من النشاط والتجوال في المدينة. يشكل شقق والدورف ستاديوم بخدماته الراقية وموقعه الممتاز، قاعدة مثالية للاستمتاع بإقامتك في أوكلاند. يوجد مكان مغطى لصف السيارات برسم إضافي لليلة بقيمة 25 دولار نيوزيلندي. ستستلم لدى تسجيل وصولك بطاقة ممغنطة وكُتيب اتجاهات إلى مكان صف السيارات. Excellent location within easy walking distance to the city centre and ferry terminals. Supermarket just around the corner and variety of coffee shops and restaurants nearby. Clean, well equipped apartment. Would stay again. The bed was disappointing. This is something they definitely need to improve. Convenient location very close to bus stops and supermarket. Room is self-contained and well-equipped. Thanks for the upgrade. Staff were helpful. We will definitely stay here again. The only downside was weekly housekeeping only and we had to pay for parking which is 29nzd per night. Great location, great room and spaces. Walking distance to Queen street. Except they charge extra NZ$30 for parking. That is not including in our room rate. However, even you had check out, you still can use it unlimited time in & out that car park for that day. Still think that NZ$30 is very expensive. opted for this because it's a 3-bedroom apartment which should have been good for 6 people. the dining table only seats 4, there was only one toilet and bath, and the rooms didn't get warm enough. otherwise, it was a good stay for our vacation. near the wharf where we had to take the ferry for our tours and a walk to Queens St. if you don't mind walking. Went to Auckland for a weekend getaway, it was really convenient staying here, short walking distance to bitromart and queens street. We had delicious vietnamese place downstairs and countdown was only opposite the road as well. Kitchen was easy to use and pretty happy with what they provided us. Slightly noisy at night but everything else was fine. Parking was next door to us so super easy to carry things in and out, charges I think around 30/day? Would go back again! Great location 2 minute walk to Spark Arena. 2 minutes to Countdown and 15 minutes to Queen St Lovely clean room, Kitchen is fabulous to cook for yourself if you wish.s Dishwasher and Washing machine. We will be keen to stay again. 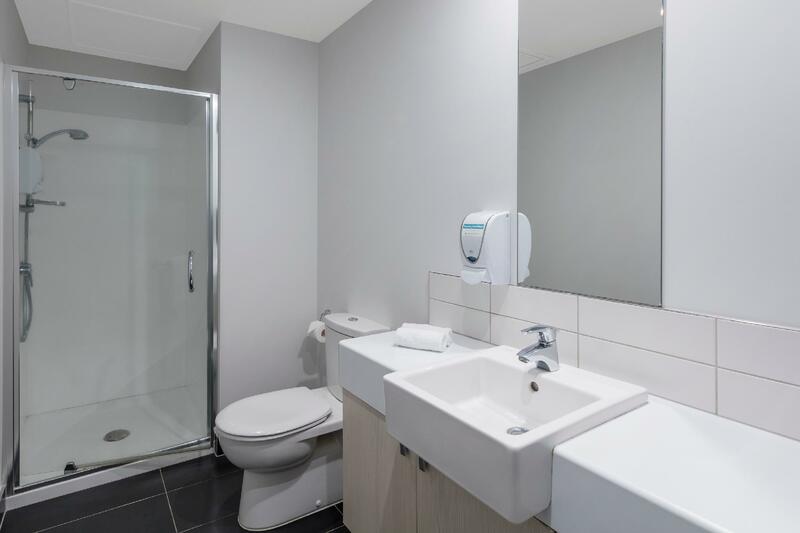 Located very close to the britomart transportation and retail hub as well as the ferry terminal, and a short walk from Queen St it's perfectly located and competitively priced, there is an adequate gym, lap pool and tennis court. My room was rather dark and looked directly into an office building, the sofa had seen better days and the television options were scant and prone to intermittence. My bed had been made rather hastily and the sheets were untucked at the bottom of the bed, the rooms are serviced weekly, but are well equipped with washing machine and dryer as well as cooking facilities. The staff were helpful without appearing overly enthusiastic. Overall unremarkable but affordable, and well situated. Check-in was seamless and really fast, we were even able to check in before 3pm. The room was clean and tidy and the decor was modern. Great water pressure in the shower aswell, which is a must! Will definitely stay there again. Good location. A local supermarket and a Chinese supermarket are just nearby. Also many rental car companies, restaurants, pubs are there. Convenient. After being upgraded upon arrival, we enjoyed the spacious room equipped with everything we needed, and a lot of supplement goodies to pick from. The location is good, it is a short walk to the shopping area, and the nearby supermarket is a great plus. We were grateful for being granted a late check-out upon our request, and the express check-out procedure is great. We can truly recommend this place. The apartment was well equipped and located in a very convenient position. When we found Wifi reception bad, they quickly offered us a separate repeater that solved the problem. We would definitely choose Waldorf again. 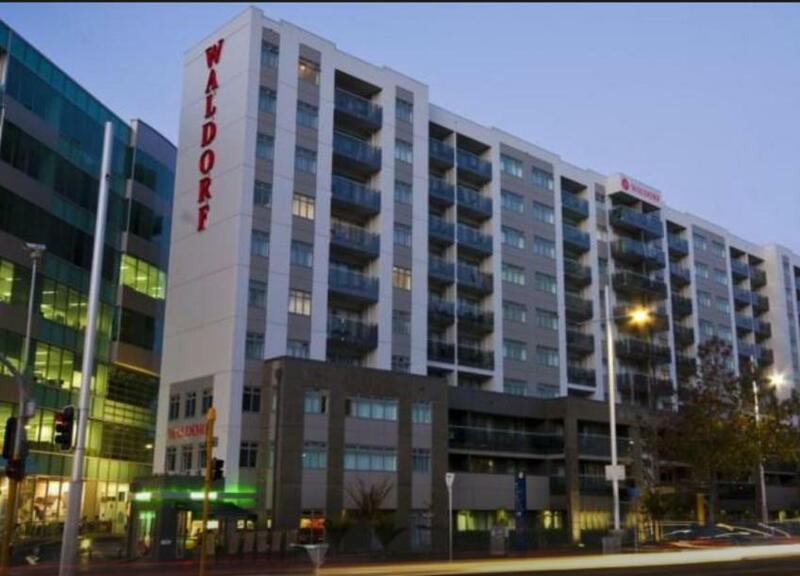 I was travelling with a family of 6 and have enjoyed our stay at the Stadium Waldorf apartments. 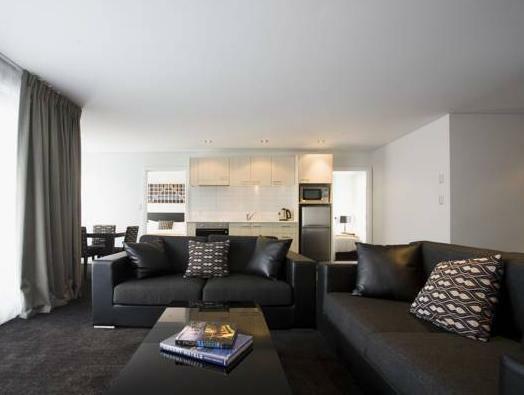 The apartments are strategically located and only took us a 10 minutes walk to Queen Street. The unit is well equipped and clean. It had it's own laundry, the shower had amazing water pressure, and the supermarket was across the road. Would like to thank vikash (mukash) at reception he was awesome from check in to check out, so helpful with parking, luggage and answering my million questions. The hotel was clean and spacious, parking and supermarket less than 5 min walk, amazing water pressure, I loved the fact the room was super dark when the curtains were drawn, the only downfall is the 3 bedroom apartments only have 1 bathroom. location, great room, FREE CAR PARK! I would say this hotel is a hidden gem in Auckland. 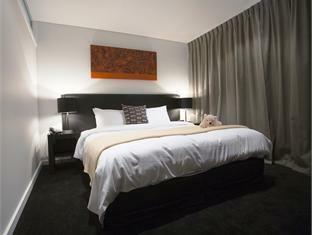 It's only a step away from cool cafes and bar and supermarket, and 5-minute walk to Auckland Downtown and city center. The bus stop is even right in front of the hotel's door! The best of all, this hotel give free parking for the whole stay ( I stayed for 2 nights). The room is very clean, tidy and well equipped. Definitely would come back and recommend this hotel to everyone I know! Location of apartment is centralised, with supermarkets within walking distance. For a family of 6, the space of apartment is appropriate. However, there is only one bathroom/toilet to share among 6 persons. Friendly Staff. Clean and tidy. Great location. This hotel was in the perfect location for us. 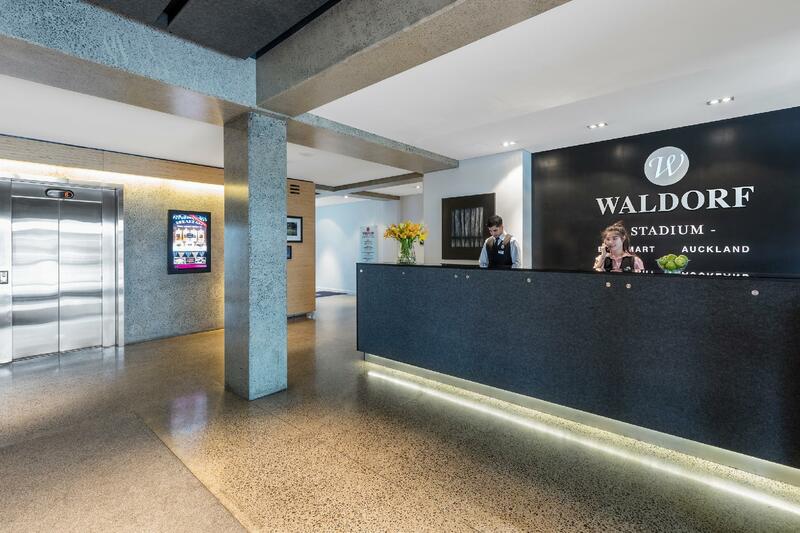 It's right next to Vector Arena, and within walking distance of Queen Street shopping, and the Wharf. Staff were very friendly at check-in and check-out, and helpful with regard to parking, which was very reasonable at $18. The apartment was a good size even for 5 of us, and the beds was nice and comfy. The one and only criticism I have is that there was not a 5th set of cutlery or crockery even though we had booked for 5 people. We could have requested that from reception I guess, but I think that should have already have been available in our apartment without having to request it. Other than that, our stay was great. 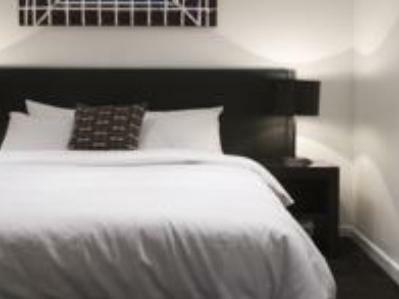 it is a very nice and clean hotel compare with other hotel that we have been in our 20 days trip visiting nz. very in style with black and white tone in the room. only downside was we had to pay for parking which is 18nzd per night.